"This is a very nice dinner for two. Serve it with your favorite pasta and tossed greens." 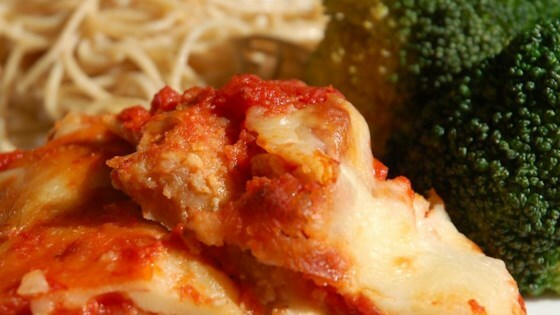 Discover the secret to Chef John’s perfect chicken parmesan. This chicken was so easy to make and turned out excellent! Used Best Marinara Sauce Yet (found here as well)instead of regular spaghetti sauce. This added even more flavor. I'm all thumbs in the kitchen, but I managed this recipe quite easily. My boyfriend, who was a bit skeptical at first, ended up LOVING it... lots of "mmm" noises throughout dinner. Thanks!